Cesc Fabregas tonight boarded a flight to Barcelona and is set to complete his transfer to the Spanish champions. The deal is worth an initial £30m to Arsenal with an extra £4m in performance based add-ons. 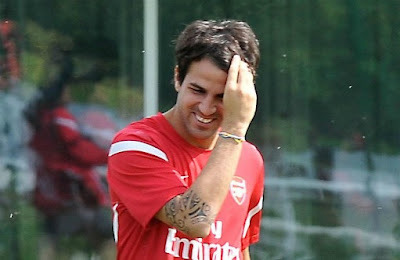 The Arsenal captain's deal is expected to be confirmed tomorrow once the paperwork and a medical have been finalized. Fabregas, 24, has a contract with the north London club until 2015.